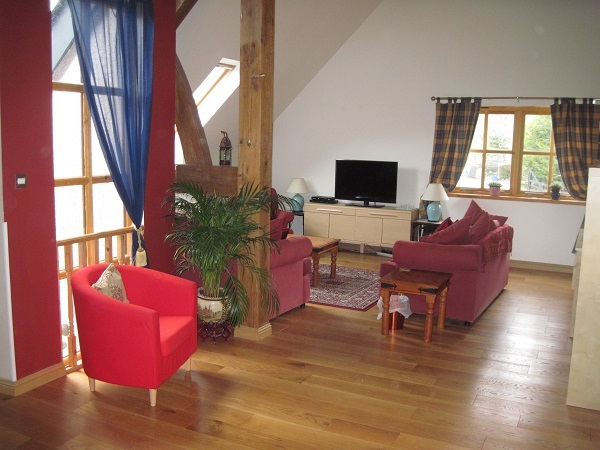 Four star luxurious, spacious and superbly equipped 3 bedroomed property (sleeps 6/8); Pet friendly (max 2) with vaulted oak beams Glenvarloch is set in its own grounds in the village of Strathyre within the popular Loch Lomond and Trossachs National Park. Detached with great parking, this 180 sq metre house has flexible accommodation: very large open plan kitchen/dining area, minstrel gallery, large comfortable upstairs lounge area and large glass atrium. Two minutes from the C7 cycleway and a huge variety of walking trails there are water sports and a great range of local golf courses and fishing options really close by. Glenvarloch is an ideal and comfortable base to enjoy the many activities on offer from walking, cycling, golf and fishing to pony trekking and fabulous historical visits. The range of walks offers a great selection of options from an easy woodland stroll to mountain challenges all with fabulous views over lochs and woodlands. The area has a great choice of places to visit from Rob Roy’s grave and the Wallace Monument and castle in Stirling to the new interactive Bannockburn centre, the Blair Drummond Safari Park and one of the longest UK Zip Wires at Go Ape in nearby Aberfoyle. 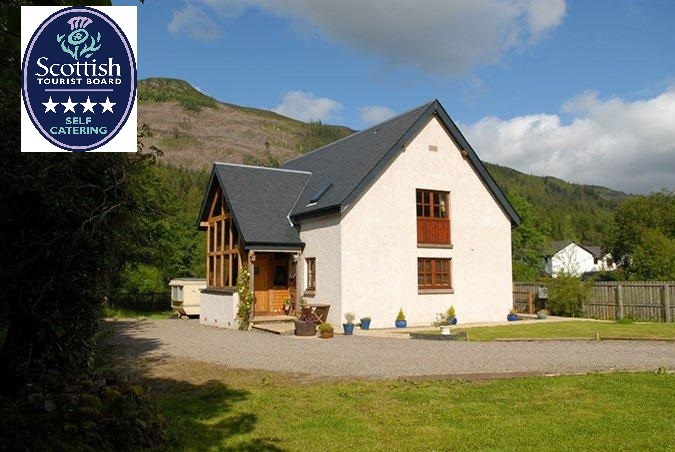 You’re spoilt for choice for places to eat from the Strathyre Inn to the great Mhor 84 only five minutes drive (15 minutes safe cycling) at Balquhidder, to the popular Creagan House for a special occasion and a diverse range of eateries in nearby Callander. Strathyre is a great place to see all sorts of wildlife from Red Squirrels, owls and herons to many local birds which feed just outside the atrium window which makes Glenvarloch ideal for bird watching. 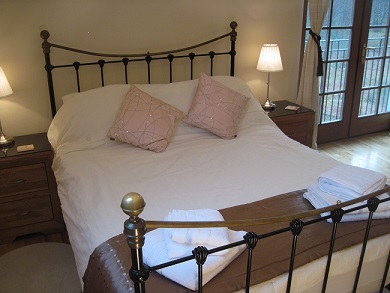 Comfortably sleeps 8 in King-size bedroom with en -suite, ground floor double and twin bedrooms and large substantial sofa bed in own room. One upstairs bathroom with whirlpool Jacuzzi bath and power shower. Large downstairs toilet with double power shower. 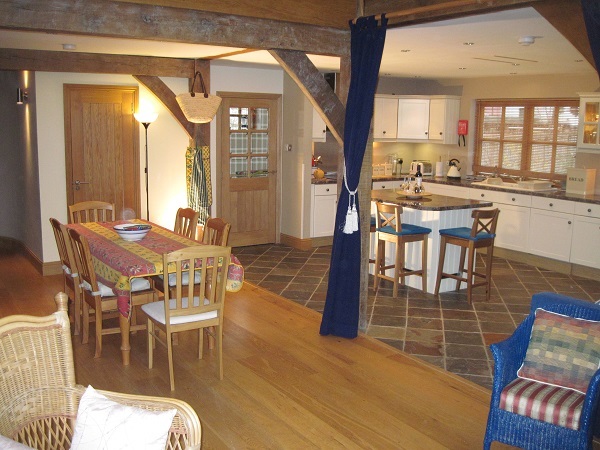 Large open plan kitchen with central island eating area and separate dining tables for up to eight. Large American style fridge freezer with ice maker. Electric hob and double oven. Washing Machine and separate drier. 42 inch HD FreeSat Smart TV and DVD player. FreeSat TV in Kitchen and master bedroom. Reactive under floor heating and central heating system. Garden furniture/ parasol seats six. Disabled ramp access and set down area.